Heartbeat of America. 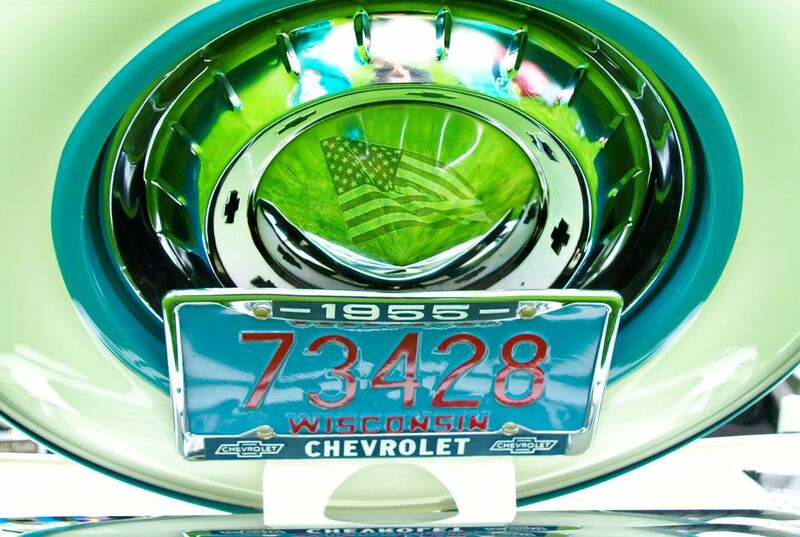 This is the reflection of american flag into a 1955 Chevrolet Belair spare tire case. The car was on display at holmen car show, in Wisconsin. Camera nikon D2xs.